Jan. 8, 2017 - PRLog -- The UK Treasury has confirmed its plan to roll out a new £1 coin from late March 2017, which the Treasury claims is the most resistant to counterfeiting ever produced. Well it needs to be, we all know how insecure the current £1 coin is and the ease of counterfeiting. Like most risk and fraud measures, we aim to stay one step ahead of the bad guys, but with UK Government's approach to the addressing the weaknesses of our coins and notes, we are a little late, in fact very late. 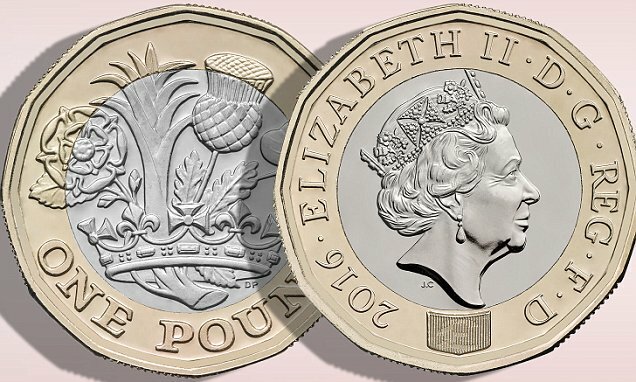 The new 12-sided £1 coin, closely follows the recently introduced and controversial new £5 note, has a number of new security features. This includes a hologram that apparently changes from a '1' to a '£' when viewed from different angles. Funny, Visa and MasterCard thought holograms on cards were a good idea until it became apparent how easy it was to counterfeit the hologram on an industrial scale.